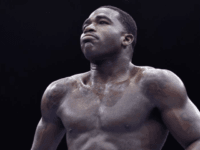 Boxer Adrien Broner has a reputation of being one of the more controversial athletes in the sport. 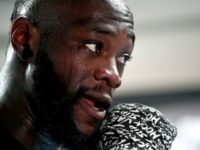 After hearing the comments he made about homosexuals in a recent video, you’ll see why. 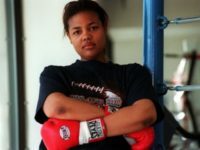 Freeda Foreman, boxing great George Foreman’s daughter, died from an apparent suicide in Texas, according to authorities. 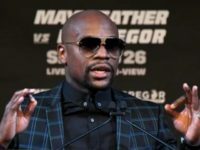 During a recent shopping spree, boxing great Floyd Mayweather said he can do whatever the heck he wants, as he waved off criticism that he was violating a social justice boycott of Gucci. 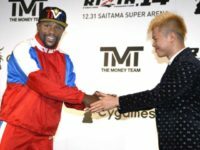 SAITAMA, Japan (AP) — It took less than three minutes for Floyd Mayweather to knock down his Japanese kickboxer opponent Tenshin Nasukawa three times Monday in a New Year’s Eve entertainment exhibition bout. 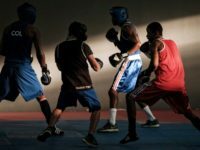 A pair of workers at a Pennsylvania facility for disabled teens have been arrested and charged with staging boxing matches and fights between the kids. 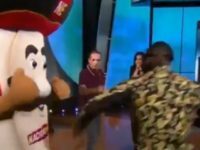 Heavyweight boxer Deontay Wilder has apologized for delivering a knockout blow to a TV mascot while appearing on Nacion ESPN last week. 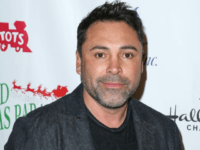 Alvarez and Gennady Golovkin fought 24 rounds in the space of a year, with little to pick between them. 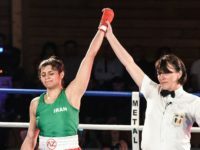 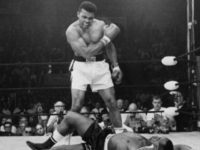 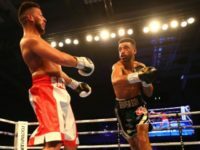 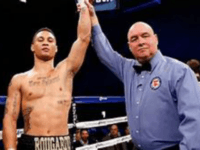 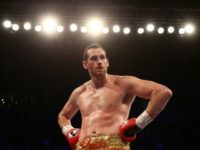 When the scorecards were totaled Saturday night, though, the judges crowned a new middleweight champion of the world — but just barely. 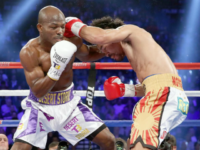 Mayweather earned an estimated $220 million from his first fight with Pacquiao. 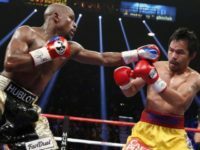 Former world welterweight champion Floyd Mayweather said Saturday he will face Manny Pacquiao later this year in a rematch of their 2015 superfight. 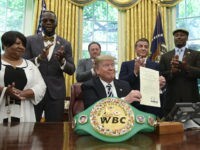 Former Presidents, George W. Bush and Barack Obama did not issue a pardon, despite considering the pardon. 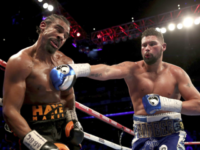 NEW YORK (AP) — Vasiliy Lomachenko had been down on the canvas and was even on the scorecards. 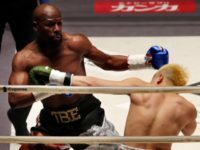 After a career laden with belts, cash and kudos, boxing great Floyd Mayweather Jr retired undefeated over 50 fights — but his flawless record faces an unlikely challenge from an obscure Thai fighter known as the “dwarf giant”. 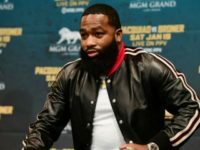 If boxing were a sport where one advanced by mouth alone, Adrien Broner would have eclipsed his mentor Floyd Mayweather Jr. long ago. 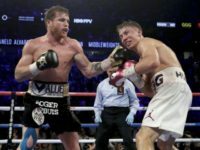 Las Vegas (AFP) – Mexican middleweight Saul “Canelo” Alvarez was handed a six-month ban by the Nevada State Athletic Commission on Wednesday over the failed drug test which forced his rematch with Gennady Golovkin to be cancelled. 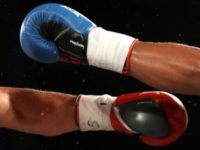 LOS ANGELES (AP) — The Canelo-Triple G rematch, expected to be the fight of the year, is off. 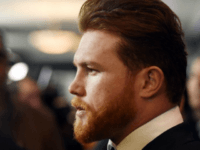 Los Angeles (AFP) – Mexican middleweight Saul “Canelo” Alvarez, prepping for a May 5 title rematch with Gennady Golovkin, has tested positive for banned clenbuterol, his promoters blaming tainted meat. 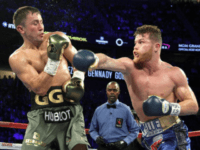 Los Angeles (AFP) – World middleweight boxing champion Gennady Golovkin will fight Saul “Canelo” Alvarez on May 5 in a 12-round rematch of their epic draw last September, promoters announced Monday.